Zero Rust is a single-package, air-dried, direct-to-metal barrier coating formulated for complete rust & corrosion control. 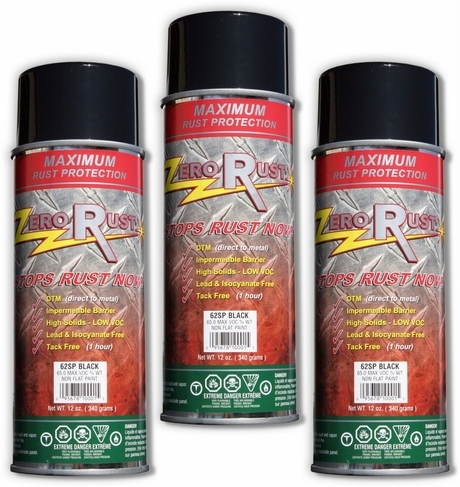 Zero Rust is a high solids, low VOC, impermeable coating containing NO LEAD and NO ISOCYANATES. Zero Rust is easy to use and can be applied over fully or marginally prepared surfaces. Sandblasting is not a requirement and topcoating is completely optional. Zero Rust has been field tested for over 12 years, solving rust and corrosion control problems for many different users and in a wide spectrum of industries. UNLESS the paint system you are using now can document 2000+ hours in a salt spray cabinet test, please read on. 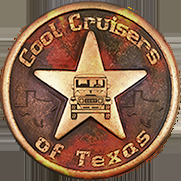 Zero Rust is a closed-coat, single-package, direct-to-metal barrier coating and is environmentally friendly. This economical, easy-to-apply product has a chemical affinity to steel for superior bonding, allowing no penetration of oxygen and moisture. It has a high dielectric ability, which insulates the steel from grounding, preventing electrolysis. "ZERO RUST" does not need mixing, and requires no top coat.